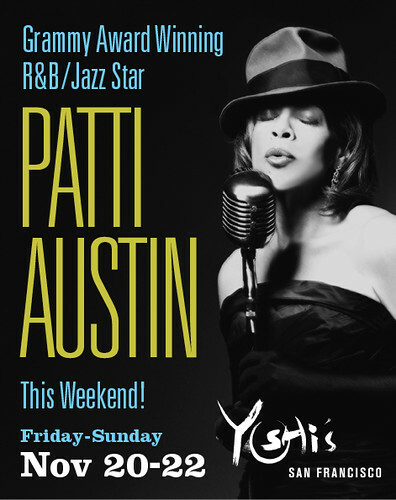 I am so excited about seeing Patti Austin tomorrow night at Yoshi’s San Francisco. See you there! Posted in: Music News/Info, Yoshi’s. This entry was posted on Thursday, November 19th, 2009 at 12:53 pm. It is filed under Music News/Info, Yoshi's and tagged with jazz, Patti Austin, r&b, San Francisco, Yoshi's. You can follow any responses to this entry through the RSS 2.0 feed.